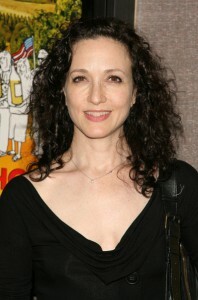 Happy Birthday, New Jersey Native Bebe Neuwirth! Bebe Neuwirth was born in Princeton, the daughter of Russian American Sydney Anne, a painter, and German American Lee Paul Neuwirth, a mathematician. Neuwirth attended Chapin School as well as Princeton Day School of Princeton, but graduated from Princeton High School (a public school) in 1976. She began to study ballet at the age of five, and chose it as her field of concentration when she attended Julliard in New York City in 1976 and 1977. During this period, she performed with the Princeton Ballet Company in Peter and the Wolf, The Nutcracker, and Coppélia and appeared in community theater musicals. Neuwirth always dreamed of becoming a ballet dancer; the only other career she seriously contemplated was being a veterinarian. Neuwirth is more multi-faceted than her Cheers character Lilith Sternin, as she’s been associated with the work of Bob Fosse from before her television days. She made her Broadway debut in the role of Sheila in A Chorus Line in 1980. She later appeared in revivals of Little Me (1982) Sweet Charity (1986), for which she won the Tony Award for Best Featured Actress in a Musical. The rest of her story is Hollywood and Broadway history.